Like the many tributaries that flow into the Mighty Mississippi, it takes multiple channels to steer quality visitors to your mighty website. One of those channels may be PPC. While there are plenty of good reasons to focus on organic traffic and SEO marketing, PPC campaigns can be a boon to your digital marketing efforts. PPC stands for pay-per-click, and it’s exactly what it sounds like: businesses only pay for their ads when someone clicks on it. Advertisers like PPC for the obvious reason: Why pay just to display your ad when you can only invest when it’s working? Plus, PPC works. A Clutch survey found that three-fourths of respondents said paid search ads make it easier to find what they’re looking for, and one-third said they click on these ads because they’re relevant to their searches. Not only is PPC effective, but it works quickly, too. If you build your campaign well, you may see results the same day you implement it. Of course, the key to PPC is to build a campaign that is engaging and relevant enough to convince online users to interact with your ads. 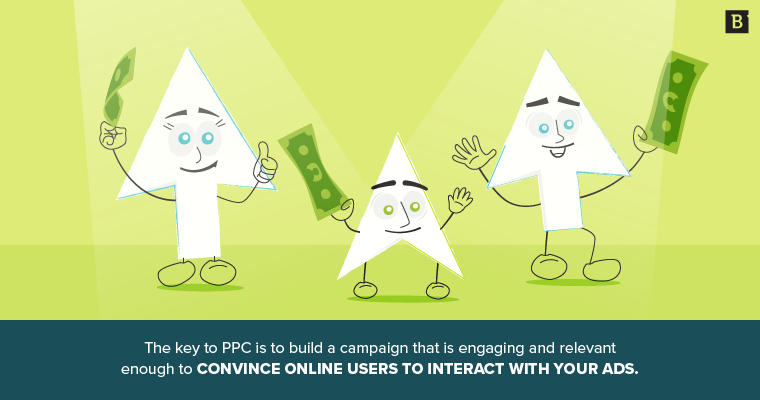 But there’s so much more to PPC than meets the eye. Let’s take a look at this process in-depth. Your PPC ad won’t display all the time. It shows up in search results only when a user types in a related query. To specify the types of instances in which your ad will appear, you’ll create keyword lists that relate to what your audience will likely search when looking for the types of solutions you provide. This step of the process should be heavily based on research and data. Make sure you’re choosing strong keywords by using research tools like SEMrush, Moz or Google Ads. Informational: When a user is just looking to learn more about something. Transactional: When a user searches for something specifically because they want to buy it. Navigational: When a user searches for the name of a website instead of typing the URL into the browser address bar, like when you Google “facebook” instead of going straight to Facebook.com. The keywords you choose should reflect the products and services you provide, be similar to language your audience uses to describe your solutions and have high enough monthly search volume to make an impact. Use research tools to review search data and trends to make sure they’ll stay relevant for the duration of your campaign. There are no one-size-fits-all numbers you should look for in terms of search volume. It all depends on your industry and the products you provide. A B2C product that appeals to many audiences will probably need a higher monthly search volume than a very niche B2B product. Compare various keywords to get a feel for a general range to seek out. Understanding your buyer personas will also help in determining the types of keywords you should include in your campaign. Any other data you have about the people who find your site, purchase your product or engage with your company will also help. 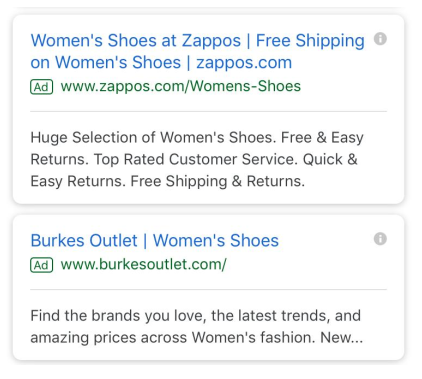 Higher conversions: A Bing study showed that retail brands got 31 percent more clicks when they had a top paid spot in SERP, with clicks fairly evenly dispersed between organic and paid listings. Inexpensive keywords: Not many companies may consider bidding on your brand name. Recapturing potentially lost traffic: Then again, maybe others are bidding on your name, placing their ad a notch above your organic listing. Giving your site greater opportunity to be listed multiple times on SERP: Your ad + your organic results. Additionally, branded keywords will capitalize on all three types of search queries. Using a branded keyword makes it very easy for users to find their destination when performing a navigational search. It also gives users a fast track to the exact product they’re searching for with a query like “Cuisinart pressure cooker,” for example. You’ll cast a wide net with generic keywords, and you’ll catch a lot of fish you didn’t necessarily bait for. But, these may have higher search volume than long-tail keywords and could give your ad greater visibility, increasing the opportunities for clicks. Long-tail keywords tend to be higher intent, meaning the searcher is looking for more in-depth information or is ready to make a purchase. Consider the difference between a search like “treadmills” and “best treadmills for marathon training in 2019.” The latter is a long-tail keyword that demonstrates the searcher’s needs, and will probably give that person useful results. These aren’t directly associated with the products or services you’re advertising, but your audience may use these terms when conducting similar searches. From the example above, you might also choose “running,” “marathon training” or “running tips” for your campaign. Negative keywords are those that may be semantically related to your keyword but really won’t draw in the right consumers. If you sell aftermarket auto parts, you might include the term “bedliner” in your list of keywords, but “mattress liner” would do you little good. List that in your negative keywords so your ad doesn’t appear under that search. You want to include negative keywords so you can control costs (by not displaying your ad for unrelated searches) and to keep your campaign as relevant as possible. If you’re stumped for what kinds of negative keywords to include, review your search query report to find terms that aren’t related to your campaign. Negative keyword tools will also help you identify some options. These are branded keywords for your competitor’s brand. Bidding on these words – known as conquesting – could get expensive quickly, assuming those brands are already investing in their own name. The reason some advertisers bid on the names of their competition is to attempt to get their ad placed higher than those brand’s organic listings. Once you have your keywords and ad groups straightened out, it’s time to write the actual ad. Benefits of working with you or using your product. Target audience details – really, speak directly to your audience, especially if you only work with a niche group. 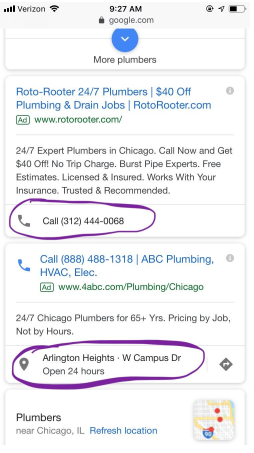 In 2018, Google expanded the space advertisers have to work with by making their previously optional expanded text ads the default setting. Now, you have three headlines to work with, each of which can be up to 30 characters long. The first two are required, but not the third. Remember, depending on how the ad is viewed, there’s always a chance the second or third headline will be cut off or pulled onto a second line. Therefore, your first headline is the most important one. Here, you see both Zappos and Burkes Outlet taking advantage of all three headlines. They keep them short and to-the-point, yet information-rich, and all three fit on a single line. On mobile, Burkes Outlet only opted for the first two headlines, keeping it very simple (if a bit uninformative). Zappos, on the other hand, still used all three headlines, the second and third spilling onto line two. There are advantages and disadvantages to this; Zappos still explains its value (free shipping) but risks the headlines taking up more space. Another change the expanded text ads brought was longer description lines; both have a maximum of 90 characters, rather than two 35-character lines. Keywords. The closer your ad is to the actual search, the stronger the connection the user will make. Time constraints (where applicable). Say when your sale ends, the deadline to apply to your scholarship or any other legitimate timing information. It’s easy to see how useful this could be. If I needed a plumber immediately, I’d just tap the “call” button on Roto-Rooter’s ad. So, you’ve chosen relevant keywords, created a phenomenal ad and even chose some extensions to help viewers take quick action. That doesn’t necessarily mean your ad will display for those keywords. Google only has so many slots to place ads, and chances are, you have some competition. You’ll set a maximum bid, either for individual keywords or your ad group as a whole. This is also referred to as Max CPC, or maximum cost per click. Ad relevance to the query. Obviously, all of these factors should be on your radar already. You wouldn’t be creating PPC ads if you didn’t want to entice users to click, and you probably already strive to have a great landing page experience for visitors to your site. But the fact that Quality Score is so critical to a successful campaign is just one more reason to devote time and energy to keeping these elements in good shape. Keyword relevance is also an important consideration during the bidding process. If your keywords aren’t relevant to the search at all, it’s less likely that your ad will display. This is where negative keywords help keep your campaign as relevant as possible. This is also why it’s critical to strategically choose your keywords. As noted, there are several slots available for ads associated with each keyword. Which slot you get is called your Ad Rank and is largely based on Quality Score and your maximum bid. Each of these factors will also determine your cost per click, or CPC. If you have to use up more of your PPC budget to get your ad displayed, the overall cost for each click will increase. If you have a great Quality Score and your keyword list is carefully manicured (read: highly relevant), your CPC will probably be lower. We’ve come to the third step of the PPC equation: Getting clicks. Of course, when someone clicks on your ad, they’re taken to your predetermined landing page. It’s so important that this landing page welcomes the visitor appropriately and delivers on exactly what the ad promised – and not just because it affects your Quality Score. If a user lands on your site and has a completely different experience than they expect or need, your ad (and company) will look spammy. They may feel like you’ve tricked them with bait-and-switch tactics, or that you don’t care about the user experience. A well thought-out landing page, on the other hand, makes it clear what users can expect to find. I expected to find shoes I could buy, and that’s what I found. But I was disappointed to find no mention of the 70 percent off sale, and I had to navigate through several pages to find the discounted shoes. It’s clear right away what you’ll find on this page. There’s an obvious button readers can use to contact us. For those who aren’t ready to talk, there’s accessible information about how these services work so readers can continue learning about how Brafton approaches social media. The sections are visually broken out from one another, making it easy to pick and choose which area to focus on. The branded icons add interest to the page but also connects each section (and the other pages on the site) through the same color scheme and design style. It’s clear to anyone who lands on this page where they are and what information they’ve found. Bottom line: Make your landing page great. Make it branded, intuitive, informative, visually appealing and fast-loading. Having an enticing ad that convinces people to click isn’t enough. You need to follow through on the promise you make with your ad with a satisfying landing page. Google Ads is by far the most popular PPC platform. With this network, your ads could show up on Google SERPs as well as YouTube, shopping websites and a large number of sites affiliated with the Google Display Network. Plus, there’s mobile placements, including apps and mobile Google searches. Bing Ads is great for expanding your reach, especially considering the 60 million searchers you’ll reach on Bing but not Google. Bing’s platform displays ads on its search engine (both mobile and desktop versions), as well as on MSN, Outlook.com, the Edge browser and some partner sites. You can import your Google Ads campaigns directly to Bing Ads, making it super simple to get started. Don’t import and press play, though; make some adjustments to maximize your impact and ROI. Search Engine Land suggests changing your bid (usually by lowering it), and reviewing Bing’s ad extensions options. Yahoo’s PPC platform places ads on Yahoo, AOL, HuffPost, Tumblr and other child sites of the parents, Yahoo and AOL, as well as on mobile search. AdRoll is great for retargeting because it places ads on websites on desktop and mobile. 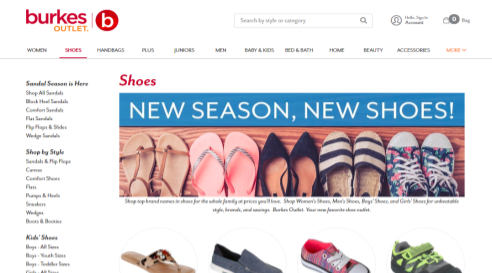 This platform uses Facebook Exchange, emails and other marketplaces and exchanges to help you get good results from your retargeting campaign. Facebook, Instagram, LinkedIn, Twitter and Pinterest all have PPC options to allow you to sponsor content and make your ads visible to the masses. For all of these channels, having a strong existing social presence on the platform is always advisable. The ads should enhance your performance, not be the platform in which your social media strategy is grounded. Facebook lets you get very specific in your target demographics, which will ideally deliver your ad to an already-receptive audience. Use this to your advantage by incorporating what you already know from your buyer personas and other data. LinkedIn has a unique audience in that many people engaging with LinkedIn are thinking about career and work rather than shopping and being social. So, this is a great place to promote your white papers and other industry-related content. Pinterest users generally search with broader keywords than they would on Google, so turn back to your keyword research and adjust it accordingly for this audience. Twitter ads stay on Twitter, as this social media platform doesn’t partner with any other networks. When viewers find your account through a promoted tweet, they’ll expect to find an engaging account to follow. In other words, it’s essential that you have a strong Twitter strategy for your Twitter ads to bring success. Ultimately, clicks are what you’re after. If you’re not seeing a lot of people come to your site through your ads, revisit your campaign and find weaknesses that you can remedy for greater success. Click-through rate is total clicks divided by total impressions in a one-month period. What is considered a good CTR depends largely on your business, industry and other factors. Consumer-facing businesses tend to have higher CTRs than B2B companies. In general, a rate of between 2 and 4 percent for search is a good indicator. As noted, you’ll probably only ever know how your Quality Score falls on a 1-10 scale with little other details about it. If it’s below 7, though, it’s time to take a look at the factors that contribute to your score. Blowing through your PPC budget quickly will simply not deliver the results you want. It probably means you’re paying a lot for the results you’re getting, leaving little left over for continued success. More than that, though, high costs signal that something isn’t quite right. If you see high CPCs, it could mean your Quality Score is dropping or that you need to adjust your ad groups for relevancy. That said, maintaining your overall budget can be tricky to track. Sometimes, your CPC will be higher; sometimes it’ll be lower – that’s just a fact of PPC advertising. Don’t get too caught up in the details here, but do make it a priority to watch your spending. Last but not least, your average position will give you a clue as to how you’re doing. Remember, Ad Rank is determined by your Quality Score, maximum bid and keyword relevancy. If you’re showing up for great keywords every time, great – but if it’s always in a lower position, do some digging to find out why this may be. That said, there are times when your PPC campaign does perfectly well when you’re displaying in position 3 or 4 – or lower. If anything, your CPC will probably be lower in these positions, too. While the top spot is certainly gratifying, it’s not everything. So, check this metric, but don’t panic if you’re not No. 1. When planned and implemented correctly, PPC can increase brand awareness and drive traffic to your site. PPC is also great for when your competitors are dominating SERPs and you need a little push to give yourself some much-deserved visibility. Use caution when using PPC to beat out the competition, though. A level playing field is a must for this strategy to work. If your rivals have set their maximum bids higher than you’d consider, you probably won’t make up much ground in this way. However, PPC should not be your sole strategy. In the end, organic traffic is quality and affordable traffic. But as any SEO professional knows, it takes time to build a strong presence with organic traffic alone – it may take 100 days or more for a quality blog post to begin showing up on the first page for a targeted keyword, and its positioning generally gets stronger with age. As you wait for your awesome articles to rise up the rankings, a PPC strategy can give you the boost you need to see results now. PPC should never be a replacement for your SEO efforts – just a method to bolster them.